Case in point: on a recent long weekend, I packed a couple of brand-new books I thought I would love: The Bookshop of Yesterdays by Amy Meyerson and That Kind of Mother by Rumaan Alam. They were both disappointing, but I learned a couple of things that I probably should have already known: 1) Just because a book centers on an independent bookstore doesn’t mean it’s a great book; and 2) If I didn’t like the author’s first book (in this case, Alam’s Rich and Pretty) it’s unlikely that I’ll like his second. 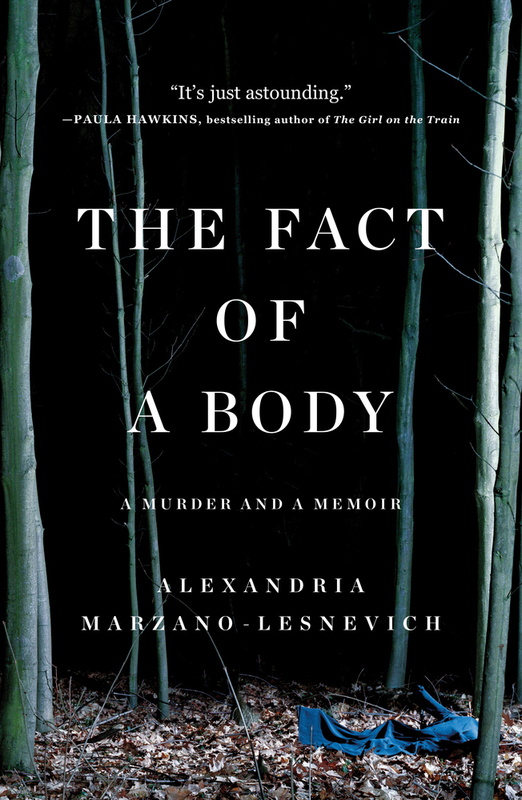 The third book I read on that trip, which I didn’t start until the plane ride home, was one that I tossed in my bag at the last minute — The Fact of a Body by Alexandria Marzano-Lesnevich. A terrific mash-up of true crime and memoir, this is one of the best nonfiction books I’ve read in years. When she was a law student, the author spent the summer working on an appeal for a convicted child murderer, Ricky Langley. An avowed opponent of the death penalty, Marzano-Lesnevich found herself wishing for Langley’s execution. As she examined the case, eventually spending years studying every detail, she came to a new understanding of her own painful childhood and a radically different view of the legal system. Here are eight more books I recommend, whether you’re in the mood for easy summer reading (The High Season, The Book of Essie), serious literary fiction (Asymmetry, The Great Believers, The Dependents), something in between (The Locals, Visible Empire), or bittersweet humor (Less). This is the quintessential beach book! 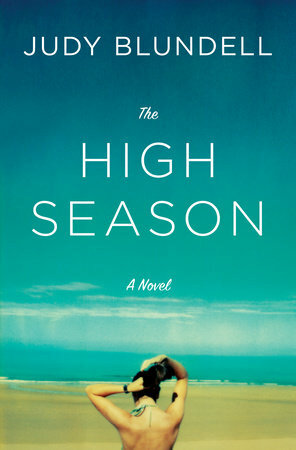 The High Season is the most entertaining book I’ve read in a long time. Ruthie Beamish abandoned her art career to direct a small museum on the West Fork of Long Island. Now a board filled with social climbers wants to oust her, and Ruthie faces losing not only her job but her beloved waterfront home. Take this one on your next vacation, whether you’re on the beach or not. I love books where several plot threads come together in an unexpected way, and I love books based on little-known events in history — so Visible Empire hit my sweet spot. In 1962, an Atlanta-bound jet crashed in Paris, killing 121 passengers, most of whom were prominent in Atlanta society, who’d just finished a cultural tour of Europe. Pittard imagines the aftermath of this tragedy, focusing on several characters connected to the deceased passengers. 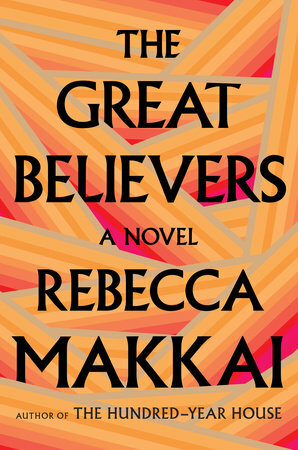 One of my favorite novels of the year, and the only one that’s moved me to tears, The Great Believers tells the story of Chicago’s AIDS crisis in the 1980s through the eyes of Yale Tishman, the development director at an art gallery. Makkai skillfully weaves the story of Yale and his community with two others that are almost as compelling: that of Fiona, his deceased friend Nico’s younger sister, who loses her daughter to a religious cult and goes to Paris to track her down, and Nora, the elderly owner of a valuable art collection she wants to donate to Yale’s art gallery, against the wishes of her family. Don’t start this book unless you have plenty of time, because you won’t want to stop. Seventeen-year-old Essie Hicks is the youngest daughter of an evangelical preacher. Nearly every move she makes is filmed for the TV reality show featuring her family. When she becomes pregnant, the producers, aided by her conniving mother, spin the story by planning a wedding — to be aired on TV, naturally. It’s all rather unbelievable, until you remember the Duggar family (“19 Kids and Counting”) and their fall from grace — and you’ll keep turning the pages. The Book of Essie, Weir’s debut, is an adult novel, but it reads like YA and is perfect for teenagers. The Dependents is a lovely and quiet novel that will linger in your mind long after you turn the last page. In its beautifully rendered exploration of relationships — between husband and wife, parent and child, and friends — it reminds me of Alice McDermott’s fiction. Another reviewer mentioned that the book reminded her of Wallace Stegner’s Crossing to Safety (I assume because of the focus on the lifelong friendship between two married couples), and that is high praise indeed. When Lisa Halliday was in her twenties, she had an affair with Philip Roth. Her debut novel is about a young editor who has a relationship with a famous author who bears a strong resemblance to Philip Roth. At least, that’s what you think this novel is about — until the second section, when the narrative focuses on a Muslim man detained at Heathrow. 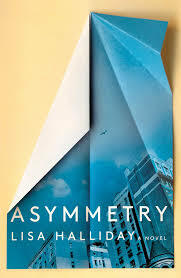 Imaginative and thought-provoking, Asymmetry is a “literary phenomenon”, according to the New Yorker. It’s the kind of book you’ll want to discuss the minute you finish it. Less than 300 pages long, Asymmetry raises more questions and covers more territory than most books twice its length. Just after 9/11, a wealthy New Yorker, Philip Hadi, moves his family to their vacation home in the Berkshires, and quickly becomes involved — perhaps over-involved — in local politics. Meanwhile, Mark Firth, a contractor who’s remodeling Hadi’s house, faces his own problems. As the novel progresses and tensions between the locals and the interloper escalate, Dee introduces a cast of characters in fictional Howland, Massachusetts, each with a distinct voice. The Locals is reminiscent of Richard Russo’s upstate New York novels — but with a bit more of an edge. There’s plenty of material for a book group discussion; I’d start out by asking why Dee included the first chapter, narrated by a New York City con artist who never becomes important to the story. What four-star books have you read recently? I won’t bore you with long-winded complaints about the weather, but I will mention that it snowed and rained all weekend — which meant that I had the perfect excuse to stay home and become completely absorbed in The Female Persuasion by Meg Wolitzer. Books were an antidepressant . . . she’d always been one of those girls with socked feet tucked under her, her mouth slightly open in stunned, almost doped-up concentration. . . Novels had accompanied her throughout her childhood, that period of protracted isolation, and they would probably do so during whatever lay ahead in adulthood. Greer Kadetsky is a freshman in college when she has a life-changing encounter with feminist icon Faith Frank (who closely resembles Gloria Steinem). After graduation, Greer goes to work for Faith’s foundation, while her longtime boyfriend, Cory Pinto, moves abroad for a consulting job. After he returns to the United States, events force both Greer and Cory (who are two of the most endearing characters I’ve come across in contemporary literature) to re-examine everything they’ve valued. The publicity surrounding Wolitzer’s twelfth novel have focused on its political themes — female ambition and activism, the evolution of the women’s movement, sexual assault on campus — but this isn’t a political book; it’s a traditional, character-driven novel. There’s even a satisfying, mostly happy ending. For an interesting interview with Meg Wolitzer, check out the Parnassus Books blog. Fun fact from the interview: Nora Ephron was Meg Wolitzer’s mentor, who encouraged her to find her voice just as Faith makes Greer’s “head crack open”. Like Meg Wolitzer, Anna Quindlen is an author who never disappoints me. I think her latest book, Alternate Side, is one of her best, although quite a few reviewers disagree with me, finding her focus too rarefied. Nora and Charlie seem to have everything: a brownstone on a quiet cut-de-sac in New York’s Upper West Side, surrounded by long-time neighbors who throw great parties, college-aged twins who love their visits home, and terrific jobs. But when a parking dispute turns into a violent incident, life begins to unravel. “I hear it’s snowing there!” Bebe would bellow jubilantly when she called in later in the day, in that way Florida people always did, as though temperate weather alone were equivalent to Lincoln Center, Broadway theater, endless restaurants, Saks. According to the Washington Post, “Quindlen has written a book that only a New Yorker — or at least someone who has lived there for a stint — could love. The rest of the world may have a hard time relating to the characters.” I disagree — you certainly don’t need to have lived in New York, or even to understand the city’s “alternate side” parking regulations, to enjoy this novel. Not everyone is going to love Kate Greathead’s debut novel, Laura and Emma, but I’m crazy about it. Not much happens; it’s a character study of a woman named Laura, who comes from a very privileged background in New York but has never felt that she fits in. When she gets pregnant by accident, she raises her daughter, Emma, on her own. The writing is just perfect; Kate Greathead has a unique voice that resonated with me. It’s perfect for readers who enjoyed Emily, Alone by Stewart O’Nan, Someone by Alice McDermott, or My Name is Lucy Barton by Elizabeth Strout. These books are the opposite of page-turners, but I found them more compelling than any thriller. The featured guest was an author who had recently published a bestselling novel, the kind of book everyone they knew was reading. Laura didn’t need to read it to know it was trash. She could tell from the cover: two pairs of feet and rumpled bedsheets. The author himself looked like he’d just emerged from an afternoon in a hotel room, with his tousled hair, slap-happy grin, and dress shirt unbuttoned one button too many. Prairie Fires: The American Dreams of Laura Ingalls Wilder by Caroline Fraser successfully combines the true story of Wilder’s difficult life and American expansion in the West in an original and captivating narrative. This meticulously researched book — which just won the Pulitzer Prize for biography — will fascinate not only Little House on the Prairie fans but anyone with an interest in the complicated history of pioneers and homesteaders. Wilder’s perseverance gave rise to one of the most astonishing rags-to-riches stories in American letters . . . Wilder reimagined her frontier childhood as epic and uplifting. Her gently triumphal revision of homesteading would convince generations that the American farm was a model of self-sufficiency. At the same time, it would hint at the complex realities behind homesteading, suggesting that it broke more lives than it sustained. I had been so absorbed as a young child, in knowing the world, and then I’d lost the whole world that I knew . . . Now I was sitting here, in Kenilworth, across a rift in the galaxy a million miles wide, learning about one group of people killing another group of people, people they lived with and knew. I absolutely adored The Friend by Sigrid Nunez, about a writer who loses her dearest friend but finds solace when she becomes the reluctant owner of the Great Dane he has left behind. It’s a lovely, unsentimental story about grief, friendship, literature, and the bond between people and their pets, filled with the narrator’s thoughts on reading and writing. If you love dogs and books, you’ll savor this jewel of a book. I promise you that it’s not sappy. This will definitely make my list of favorite novels at the end of the year. Your whole house smells of dog, says someone who comes to visit. I say I’ll take care of it. Which I do by never inviting that person to visit again. Five Stereotypes About National Poetry Month That Aren’t Always True; The Worst Advice We’ve Ever Heard About National Poetry Month; Think You’re Cut Out for Poetry? Take This Quiz and Find Out! ; and my favorite, Does National Poetry Month Make You Feel Stupid? Actually, no — what makes me feel stupid is when I click on a ridiculous headline created by an algorithm, not a thoughtful human being. I also believe that there is no book so bad that you can’t find anything in it of interest. You can learn something from the very worst books . . . even if it’s just one gleaming insight in a muddy river of words. I agree with Will Schwalbe. Although I don’t love every book I finish, there’s something to appreciate, enjoy, and learn in each one. Usually, if a book isn’t working for me, I won’t finish it — but sometimes, I persevere because reviews have led me to believe that it’s going to improve. This is like heading outside with no raincoat or umbrella as black storm clouds gather. Here are some mini-reviews of books I’ve read recently, starting with my favorites. Educated: A Memoir (Tara Westover) — This is my first “I couldn’t put it down” book of 2018. It’s the amazing true story of a young woman raised off the grid in a strict fundamentalist/survivalist family. Not allowed to attend school or visit doctors, Tara Westover was used as slave labor in her family’s scrap business, suffering life-threatening injuries multiple times. Through incredible strength and some lucky breaks, Westover got herself to college and eventually to graduate school at Cambridge. The Immortalists (Chloe Benjamin) — Reading the jacket copy might make you think this book is a work of magical realism, but it’s really a family story — but a very creative one. Four children visit a fortune teller who claims to be able to predict the day each of them will die. The rest of the novel follows each sibling’s path through life, asking the question: how much control do we have over the trajectory of our lives? Killers of the Flower Moon: The Osage Murders and the Birth of the FBI (David Grann) — The author of The Lost City of Z, which I loved, has written another outstanding “truth is stranger than fiction” page-turner about a buried piece of history. In the early part of the twentieth century, the Osage Indians, who’d been banished to what the government thought was a useless piece of land in Oklahoma, discovered oil. Their newfound wealth led to a shocking and cold-blooded plot to murder many of them — a plot that was uncovered by the fledgling FBI. The photos of the people involved (victims, and their family members, villains, and heroes) add to the tragic and compelling story. Tell Me More: Stories About the 12 Hardest Things I’m Learning to Say (Kelly Corrigan) — Corrigan’s trademark wisdom and self-deprecating humor shine in this series of personal essays. Everything Happens for a Reason: And Other Lies I’ve Loved (Kate Bowler) — At age 35, Kate Bowler, a divinity professor and new mother, found she had Stage IV cancer. A scholar of the American prosperity gospel, which asserts that God will bless the deserving with health and wealth, Bowler is forced to confront uncertainty. She laces her heartbreaking memoir with wit and humor. Start at the end of the book — Appendix 1 (“Absolutely Never Say This to People Experiencing Terrible Times: A Short List”) and Appendix 2 (“Give This a Go, See How It works: A Short List”). Exit West (Mohsin Hamid) — Some books are best enjoyed and appreciated by solitary readers, while others demand discussion. Exit West, a finalist for last year’s Man Booker Prize, is one of the latter. It’s the story of a young couple, Saaed and Nadia, who escape their war-torn country through a series of magical doors. Fans of The Underground Railroad will love this novel. Sing, Unburied, Sing (Jesmyn Ward) — Last year’s National Book Award winner is a beautifully written story about, among other things, the legacy of slavery. I had to slow myself down while reading it to savor the language. Usually, when ghosts show up in a book, I put the book down in disappointment — but I can’t imagine this novel without the ghosts. Mothers of Sparta: A Memoir in Pieces (Dawn Davies) — A collection of essays about parenthood that will have you chuckling one moment and choking up the next, Mothers of Sparta is a raw and beautiful book. The titular essay, about the challenges of raising a severely handicapped son, is particularly moving. Davies intersperses the story of her son’s difficult childhood with the story of mothers raising sons to be Spartan warriors. An American Marriage (Tayari Jones) — Married just a year, Roy and Celestial are adjusting to marriage when Roy is arrested for a crime he didn’t commit and sentenced to a lengthy prison term. Through letters, we see Celestial’s commitment unraveling, and when Roy is released early, matters come to a head. This is an insightful portrait of flawed but appealing characters facing a no-win situation. I was a little bothered by a plot hole and would love to discuss this book with other readers. The Woman in the Window (A.J. Finn, pseudonym) — This is a solid suspense novel that doesn’t quite live up to the hype. But what could? It kept me engrossed on a long plane trip, even if I didn’t find the ending completely surprising. Hitchcock aficionados will enjoy the film references. The Perfect Nanny (Leila Slimani) — Plenty of controversy has surrounded this French bestseller which is loosely based on a real-life case in New York City in which a nanny murdered her charges. The author has been accused of making judgments about working women and of exploiting a tragedy (see this article in the New York Times). I thought it was a realistic, if horrifying, glimpse into the mind of a person descending into insanity. Far From the Tree (Robin Benway) — The National Book Award winner for Young People’s Literature in 2017, Far From the Tree tells the affecting story of three siblings, given up by their birth mother, who find one another as teenagers. I’m a little surprised this won the National Book Award — it’s very good but not exceptional. Currently #1 on the New York Times bestseller list — but why? The Great Alone (Kristin Hannah) — Hmmm. This novel about PTSD, domestic abuse, and the Alaska wilderness kept me turning the pages on a recent beach vacation, and the Little House in the Prairie fan in me loved learning about twentieth century homesteading. But the writing is subpar — lots of blankets of snow and buttery sunshine — and the characters were stereotypical and uninteresting. Heather, the Totality (Matthew Weinstein) — This is a very weird little book. I can’t decide if it’s brilliant or just plain bad, and the reviews are equally divided. (See the article in Library Journal, “What to Make of Heather, the Totality.”) Perfect for book clubs, especially those looking for short books. Our group joked that we spent more time discussing the book than it took to read it. The author is the creator of Madmen, which is interesting because there’s hardly any dialogue in the book. Grist Mill Road (Christopher Yates) — This ambitious novel starts out with a bang — literally, as a teenage boy repeatedly shoots a female classmate with a BB gun as another boy watches, leaving her for dead. Soon, the characters are introduced as adults and we learn that the victim and the observer are married to one another. Through each character’s version of events, we go back to the day of the crime, eventually learning what really happened and why. The twist was a big disappointment, and I closed the book feeling that I’d been cheated. Nothing against sprawling, 700-page novels, but I tend to like little books that make a big noise. These novelists work on a small scale because they make their works with exceptional power, grace, and complexity and don’t need to belabor a strong point. The most popular post on Books on the Table in 2017 was 8 Short Novels Your Book Club Will Actually Finish, which was viewed and shared approximately one gazillion times more than any other post. The takeaway from this is that I shouldn’t bother to write about any other book-related topics but should stick to lists of short book club books. So, in an effort to provide what readers want, I’ve assembled another list of quick reads. The average reader should be able to finish any of these books in four hours, give or take a few minutes. So if your club meets once a month, you have no excuse for not finishing your book club book — you only need to devote eight or ten minutes a day to it. A surprising number of classics that most of us read in school are short (The Great Gatsby, Of Mice and Men, Heart of Darkness, Fahrenheit 451, Ethan Frome . . .) and they’re worth re-reading from an adult point of view. You can easily find dozens of lists of “short classics” and “the best short books of all time” online. Here’s an updated list of ten current books, most around 250 pages, that your book club will enjoy discussing. Nutshell by Ian McEwan (208 pages) — Told from the viewpoint of an unborn child and inspired by Hamlet, Nutshell is a murder mystery unlike anything you’ve read before — starting with the first sentence: “So, here I am, upside down inside of a woman.” I’ve discussed this book with two different groups and both found plenty of rich material for discussion. Dunbar by Edward St. Aubyn (244 pages) — Part of the Hogarth Shakespeare series, in which Shakespeare’s plays are retold by notable contemporary authors, Dunbar reimagines King Lear as the story of the CEO of a global media corporation who has made the mistake of turning his business over to his two scheming daughters. An ambitious book group could pair this book with a reading of King Lear. The Ninth Hour by Alice McDermott (256 pages) — Alice McDermott is one of my very favorite writers, and I’ve had to wait four years for The Ninth Hour. (Someone came out in 2013). Every time I read one of her books, I think, This one is her best, and that’s exactly what went through my mind when I finished The Ninth Hour. In Brooklyn, about one hundred years ago, a young husband commits suicide, leaving behind his pregnant wife. His widow, Annie, and his daughter, Sally, are taken in by nuns in the nearby convent. Sally marries a local boy, Patrick, and their children and grandchildren are the narrators of this beautiful and poetic novel. The Second Mrs. Hockaday by Susan Rivers (288 pages) — There’s nothing I love more than an epistolary novel. The author’s use of letters and diary entries heightens the suspense in this amazing story, which is based on a real-life court case from the mid-19th century. This slim novel, perfect for book clubs, will inspire discussion about race and the legacy of slavery, women’s changing roles, forgiveness, and redemption. Morningstar: Growing Up With Books by Ann Hood (192 pages) — Novelist Ann Hood has written a series of charming essays about the books that shaped her, starting with childhood favorites. It would be fun and illuminating for a book club to read Hood’s essays and share their own formative books with each other. Dear Fahrenheit 451: Love and Heartbreak in the Stacks: A Librarian’s Love Letters and Breakup Notes to the Books in Her Life by Annie Spence (256 small pages) — Annie Spence’s book is snarkier than Ann Hood’s, perhaps aimed at a millennial audience, but clever and delightful. Maybe every book club member could write a love letter (or breakup note) to a book on her shelves? When Breath Becomes Air by Paul Kalanathi (256 pages) — Everyone should read this powerful and heartbreaking — yet inspirational book. It’s a meditation on what it means to lead a worthwhile life, written by a young neurosurgeon dying of lung cancer. Another moving book on the same subject, also brief, is Dying: A Memoir, by Cory Taylor. What’s on your book club reading list for 2018?